A safe and reliable taxi experience is only a phone call away. 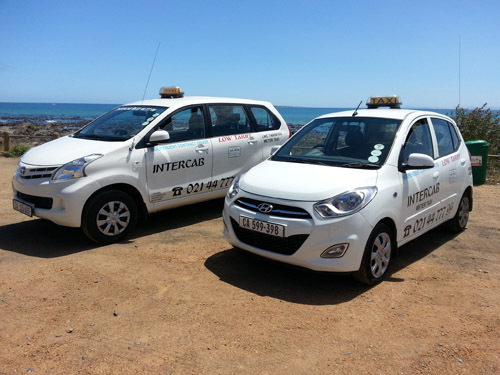 Having been established more than a decade ago, Intercab has strategically positioned itself as the company of choice amongst tourists and locals. With a large fleet, lowest rates (R8.80 per kilometer) and outstanding safety record we're the safest way to go. Available 24/7, our drivers are at your disposal to introduce you to the best restaurants, pubs, hotels and night life that Cape Town has to offer.